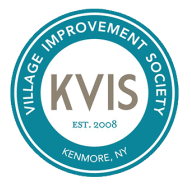 2015 marks the 5th Anniversary of the Kenmore Village Improvement Society (KVIS) Dog Days of Kenmore event. We have been so privileged to put on this event for this long and to have met so many wonderful and caring people through the process. The Dog Days Committee works to make the event better each year so that everyone participating can feel and know that the event is a joyous celebration of the wonderful bond between dogs and their people while also acting as a voice for dogs whenever possible. We have learned a lot in planning Dog Days of Kenmore, but learning of the great passion and big-hearted dedication of Western New York’s dog rescue groups has been the most profound for us. We believe that everyone involved in these Western New York area rescue organizations are unsung heroes and should be celebrated and recognized as such -so we are throwing an annual party in their honor! 14228. Each Canine Rescue Group present at the Award Celebration received a special award and was heartily applauded for their efforts. Pixie Mamas Rescue; Rescue a Bull; Sadie’s Safe Harbor; Save A Pet Niagara County; Second Chance Boxer Rescue; Second Chance Sheltering Network; Silver Lining for Pitbulls; Southern Ontario SOAR; SPCA of Erie County; Ugly Mutts; Volunteers for Animals. We are gathered here this evening to celebrate you –to honor you, and to thank you -for what you do is helping to change the world, helping to change humanity for the better. Mahatma Gandhi said, "The greatness of a nation and its moral progress can be judged by the way its animals are treated. I hold that, the more helpless a creature, the more entitled it is to protection by man from the cruelty of man." And this is just what you do. Of course, the work you do matters the most to each individual dog you rescue, but with each rescue you also help to make wrongs right while promoting goodness. For in each place in the world, giving of oneself for those less fortunate and being a source of goodness is considered to be one of the highest virtues of humanity. I think that we all know that dogs are such a perfect combination of attitudes and attributes – they can be child like and playful and yet they also seem to have such a deep and profound wisdom. Unlike us, they seem as if they do not think there is much distance between heaven and earth –seeming to remember where they come from, and when faced with death, where they are going. These marvelous, sentient –often bad-breathed beings are being helped and saved and nurtured because you care enough to help. I know that at this moment I am in the presence of some of the most noble and caring people I have ever met and I am so honored to be with you. As a dog-lover, I am filled with gratitude for what you do. You are true beacons of goodness. If my heart is this glass –then it is filled with the greatest appreciation and thanks for each of you, your rescue group, and all those who support you. Please raise your glass and join me in a toast. Repeat after me please: ..to the Rescuers! "I just wanted to thank you for a lovely evening on Friday! Whenever our rescue group is together, we're either working an event, stuffing envelopes, making baskets, etc. It was nice to just sit, eat and chat with them. I also enjoyed meeting the other rescue groups in the area. Thank you for the great event and I am already looking forward to next year!"